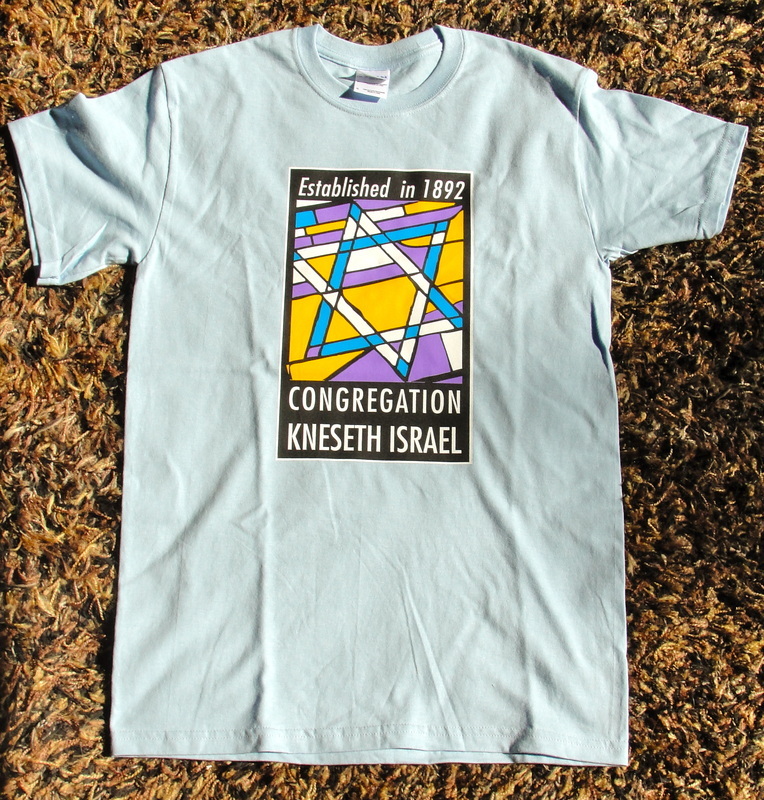 2012/2013 marked the 120th Anniversary of Congregation Kneseth Israel in Elgin. Scroll down to see all the special Anniversary events which took place during the year. This major award-winning exhibit, from the Elgin Area Historical Society, focuses on a century of the Jewish experience in the Midwestern community of Elgin, Illinois. Starting with the arrival of the Adler brothers in the 1850s, it portrays a significant story of struggle and achievement culminating a century later with the building of a new synagogue, the consecration of a Jewish cemetery and the valued participation of Jewish individuals in all aspects of Elgin’s life. This exhibit won a Mayor's Preservation Award and was on display at Congregation Kneseth Israel as part of it's 120th Anniversary. The information is also available in a brochure available here. Watch a few CKI interviews, some long-time members and some new! Click on the poster to see some images from the past! Or come see it in person in the Social Hall at CKI! 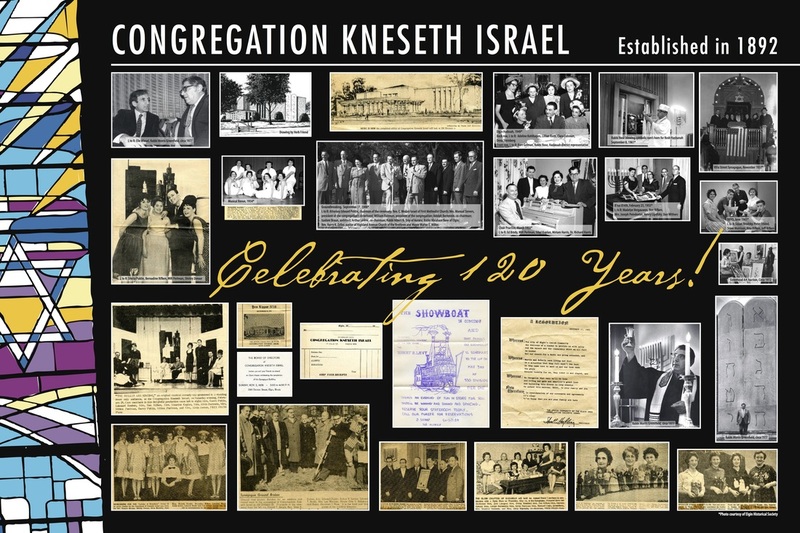 In commemoration of the 120th Anniversary, CKI is distributing our wonderful anniversary booklet at various 120th Celebration events including an evening with comedian and singer Robert Klein on Saturday, February 9, 2013 at Elgin Community College. 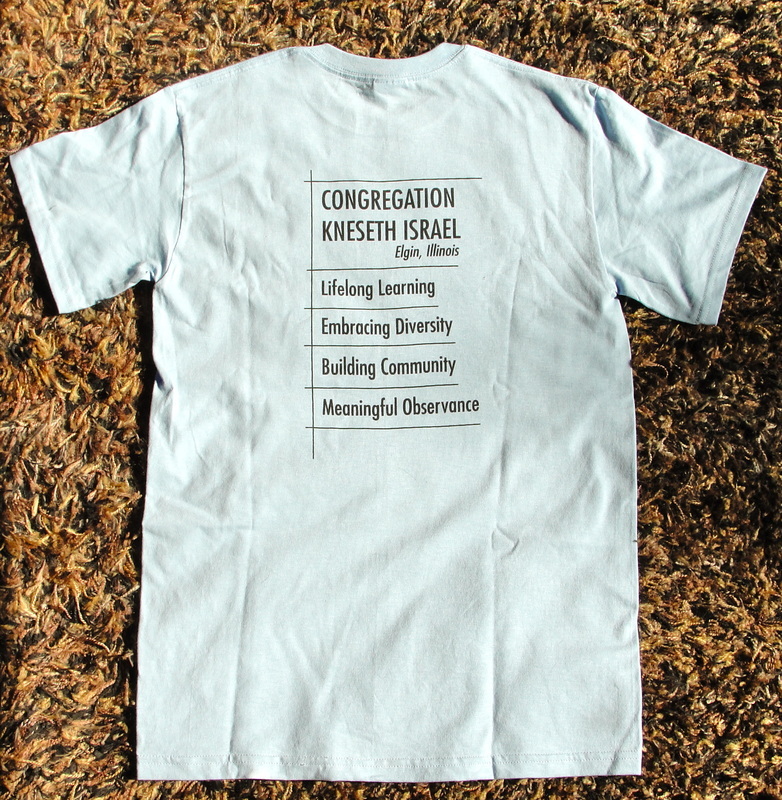 T-shirts may be purchased at the CKI Gift Shop. Make checks payable to CKI Sisterhood. CKI members volunteered for a workday to assist in the renovation of a home in Elgin for Habitat for Humanity. We wore our new 120th Anniversary t-shirts and marched with pride! 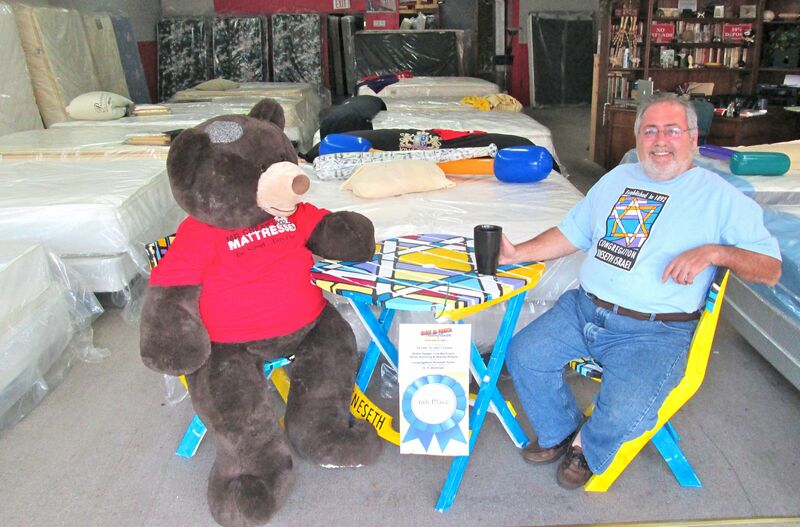 In conjunction with the Gail Borden Library Summer Al Fresco Competition and in honor of CKI's 120th Anniversary Celebration, we have decorated a Bistro set entitled, "To Life, To Life, L'Chaim!" 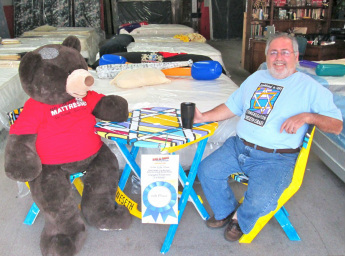 The Bistro table is on display in the window of Mr. Cheap's Mattresses owned by Ron Weiner located at 213 Walnut Avenue in Elgin. Check it out! 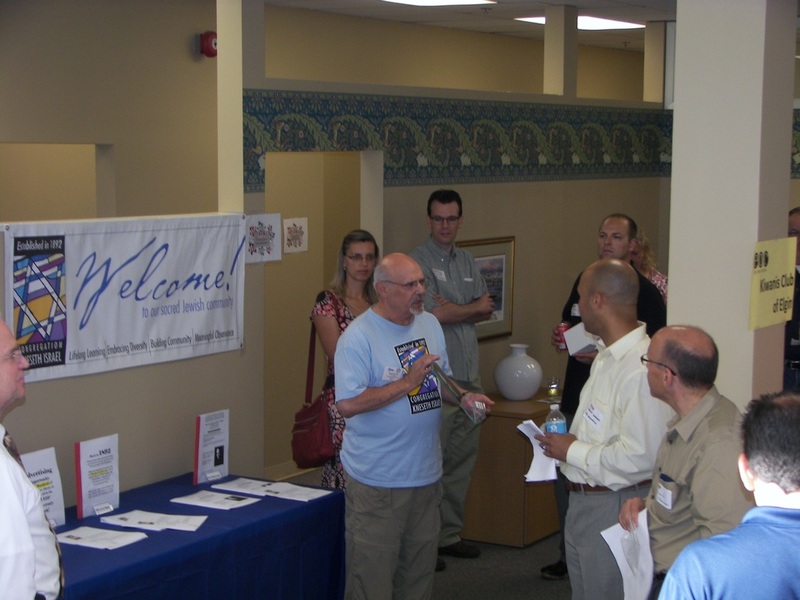 The 120th anniversary committee was represented by Rich Kruth at the Elgin Area Chamber BAH (business after hours) event. The purpose was to handout the commemorative book advertising flyers and the Robert Klein Show ticket sale information. At the event Rich spoke about what a great business advertising opportunity this is for the chamber members, and the idea of a night out of fun at the Klein concert. “Feeding Greater Elgin” was an opportunity for CKI members to assist the Social Action segment of our Anniversary Committee with a further exploration of the kinds of assistance people in the Greater Elgin area are in need of; we greeted guests at the food pantry, and assisted them with “shopping” in the warehouse. FRIDAY NIGHT LIVE. 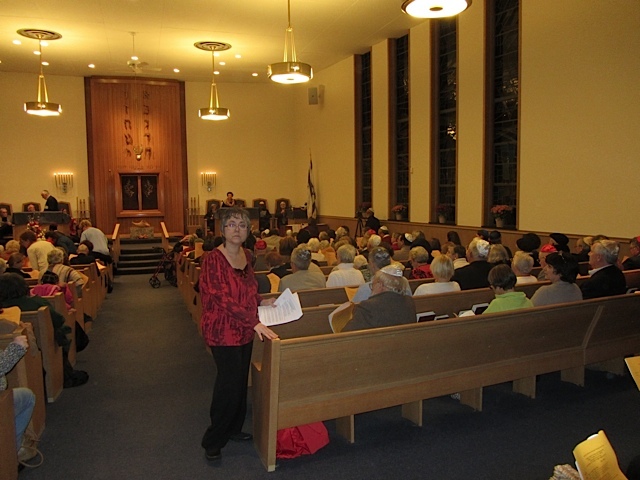 Shabbat Evening Service at CKI, featuring live music. Celebration Brunch at CKI featuring a Quartet from Maxwell Street Klezmer Band. 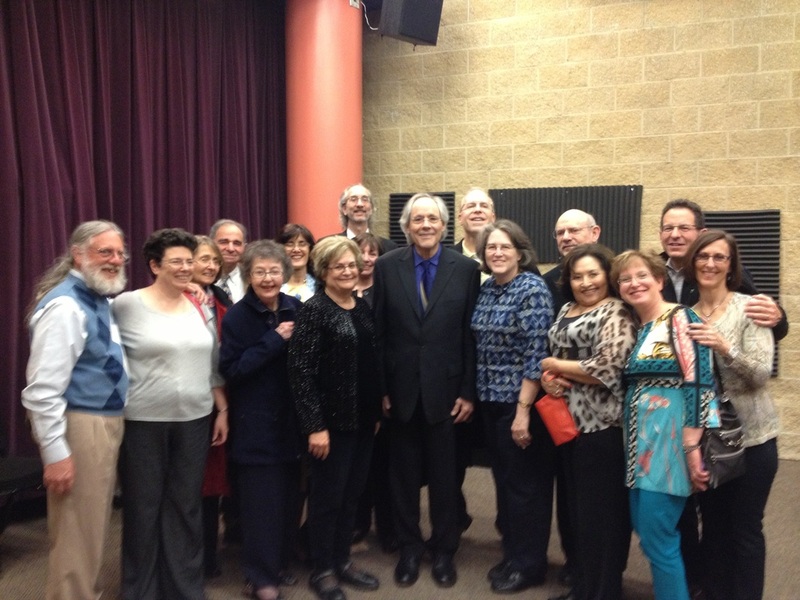 In celebration of Congregation Kneseth Israel's 120th Anniversary and co-presented with the Elgin Community College Arts Center, we all enjoyed this special comedy performance in Elgin! 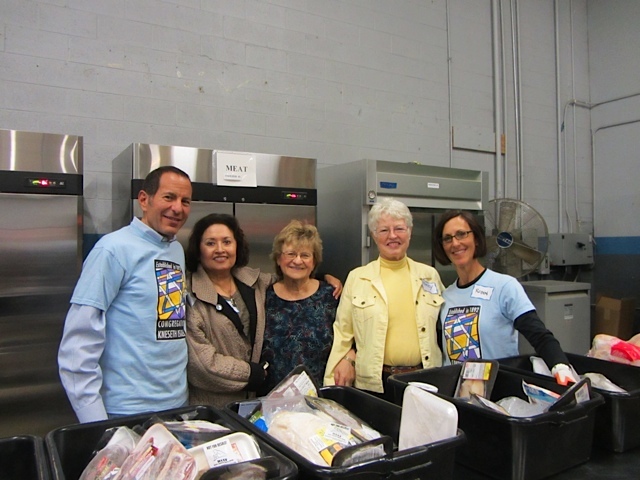 Congregation Kneseth Israel assisted in this important community initiative, by helping with warehouse food distribution to the needy in the Elgin area. 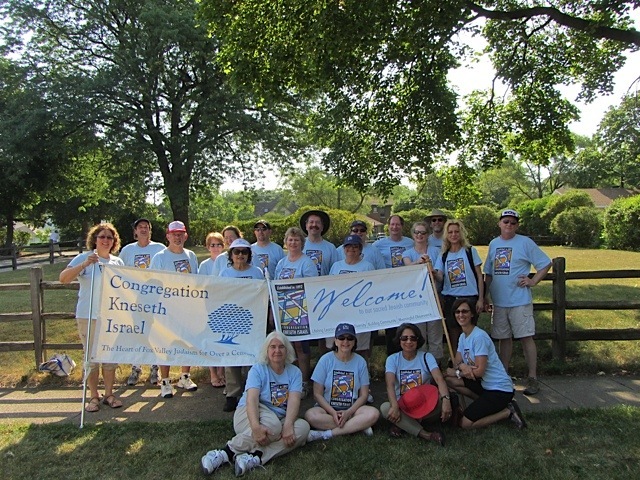 The celebration of CKI’s 120th anniversary continued with the CKI-sponsored church walk, “The Hidden Treasures of Holy Hill.” Several area churches, the Elgin Historical Society, and Gail Borden Library joined us in this historical celebratory event. Each participating church and CKI conducted 20 minute tours of their facility. Proceeds of the walk went to Food for Greater Elgin.